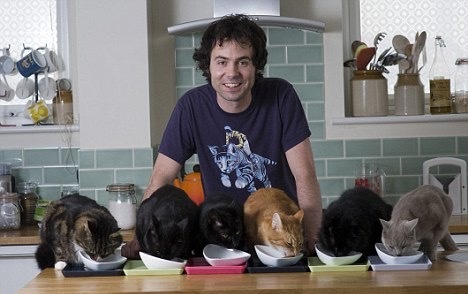 Tom Cox is a best selling author from Devon, England, who describes his writings as “books about rural life disguised as books about cats!” He lives with four cats, (although there are 6 in this pic!) Ralph, Shipley, Roscoe and The Bear. 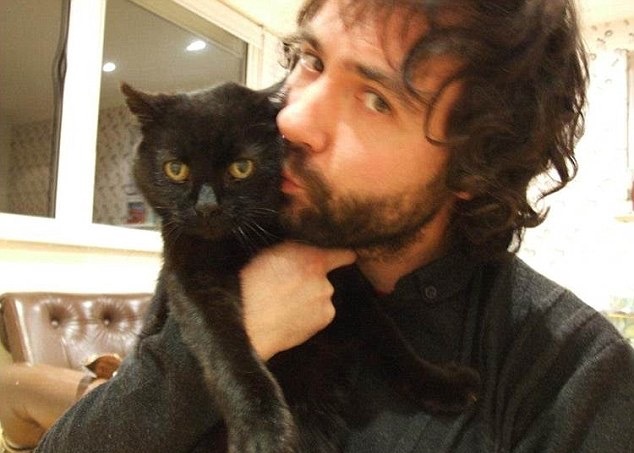 Now, it’s a common belief that cats have nine lives, but Tom believes that Bear, his senior cat, has had at least 15. 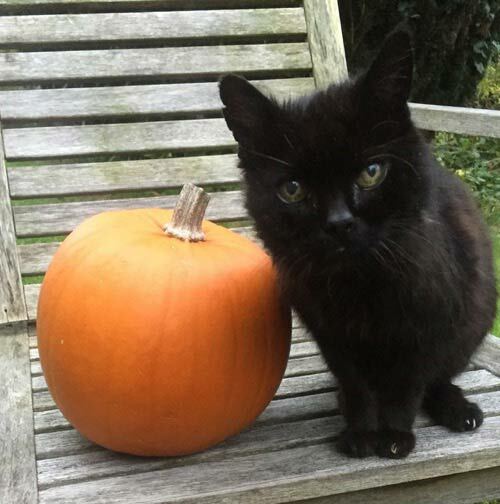 This is because Bear has had many brushes with death during his 21 years. Bear has certainly had a very exciting life so far, Tom found him in a plastic bag on the hard shoulder of a motorway where he had been dumped by his original human, and it’s been a roller coaster of a ride ever since. From allergies to poisoning and even being lost in London for a month, his life has been eventful to say the least. Tom decided to make a list entitled “The Lives of My 21 Year-Old Cat, The Bear (of which I am aware)”, he posted it on Twitter and it was an instant hit. 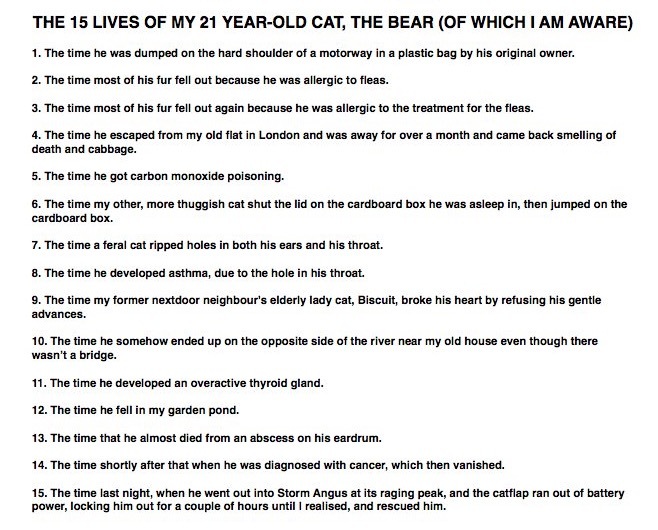 As you can see from the list, Bear has definitely had more than nine lives. Let’s hope that his senior years are a little more relaxing! 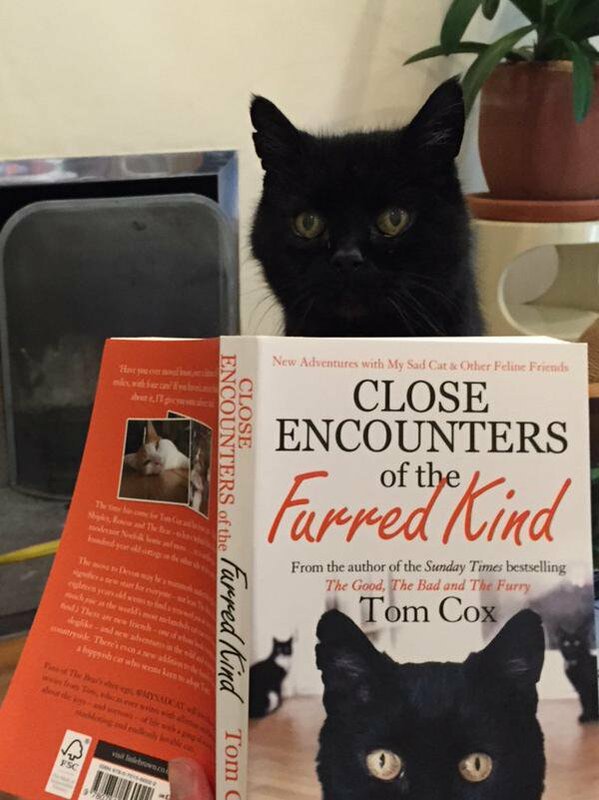 You can find out more about Tom and his rural life, his bestselling books, and of course his cats, on his blog here. He is also on Facebook, Twitter and Instagram. Click here to find out about the woman who replaced her boyfriend with a hairless cat!